OnRamp Builds and Deploys Private Cloud Solution for Akimbo Financial, Inc.
OnRamp has just announced the release of a new customer case study featuring consumer financial services company, Akimbo Financial, Inc.
OnRamp, a leading high security and hybrid hosting provider with data center facilities in Texas and North Carolina, announced today the publication of a new customer case study featuring Akimbo Financial, Inc. The case study details the reasons why, after evaluating multiple cloud hosting providers, Akimbo chose OnRamp’s private cloud solutions to facilitate the transmission and reception of electronic funds between banking institutions and end-users. Akimbo is a consumer financial services company that provides a unique, social bank account and debit card alternative as a direct-to-consumer product. After receiving an initial round of seed funding to being their startup, Akimbo began searching for a data center services provider with a background in assisting financial industry clients with the rigorous compliance requirements under the Sarbanes Oxley Act of 2002 and the Payment Card Industry Data Security Standard (PCI DSS). Akimbo chose OnRamp’s private cloud solutions, which are hosted on dedicated equipment to ensure the privacy and security of financial data, thereby enabling Akimbo to maintain a highly available, highly reliable and highly secure environment to run the company’s IT operations. 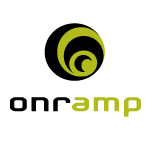 As an SSAE 16 audited, PCI Level 1 and Sarbanes-Oxley compliant company, OnRamp works with Akimbo to collaboratively ensure compliance.